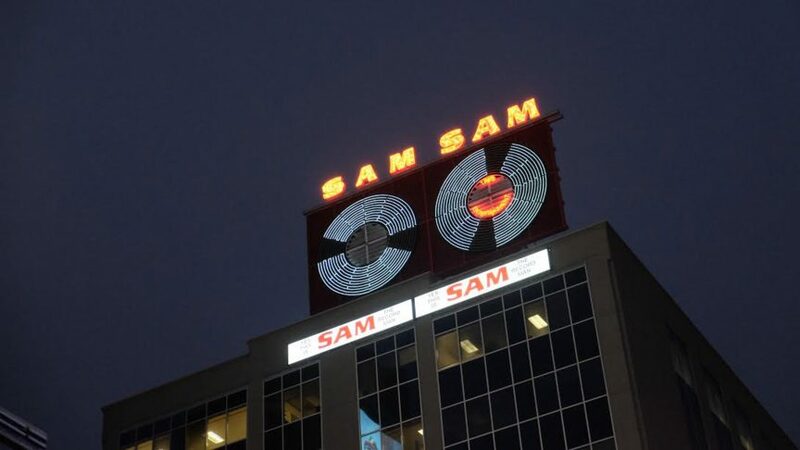 After years of debate about the location and preservation of the iconic Sam the Record Man sign, it was officially lit on Jan. 10. Ryerson president Mohamed Lachemi was accompanied by Toronto mayor John Tory as well as some relatives of Sam Sniderman, the owner and namesake of the Sam store. 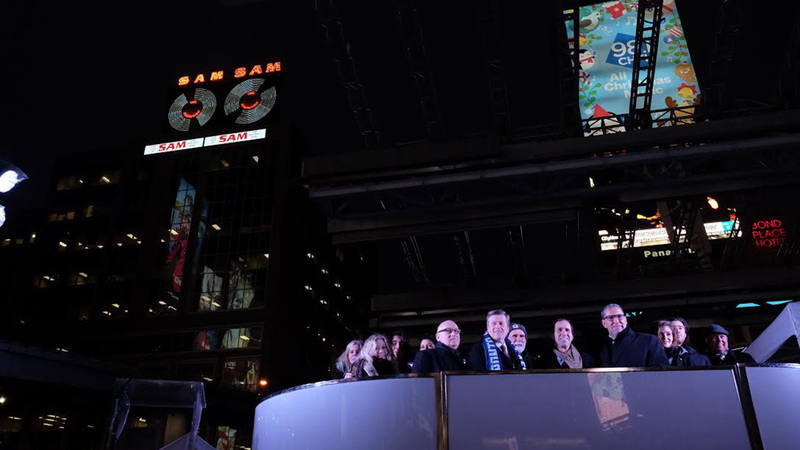 “Tonight, we are pleased to partner with the Sniderman family and the City of Toronto in bringing the Sam sign back to life,” Lachemi said. 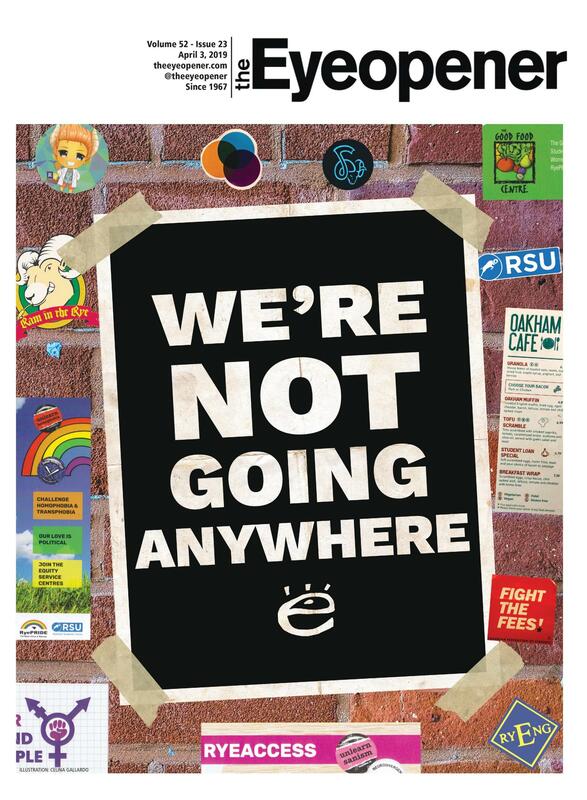 The sign was initially intended to be installed on the Student Learning Centre, but an Eyeopener investigation found that Ryerson didn’t want it there. In 2014, the City of Toronto proposed placing it on the Victoria Public Health building, and construction began in 2017.